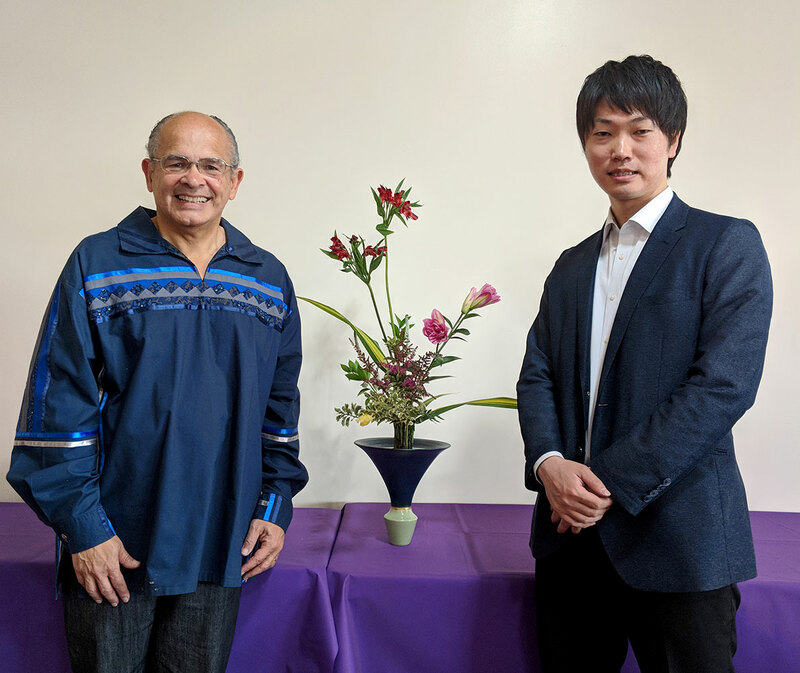 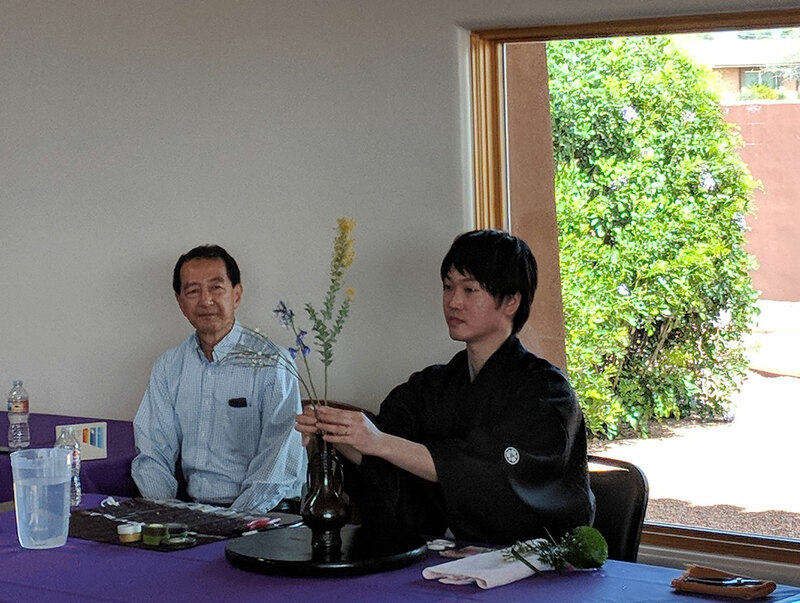 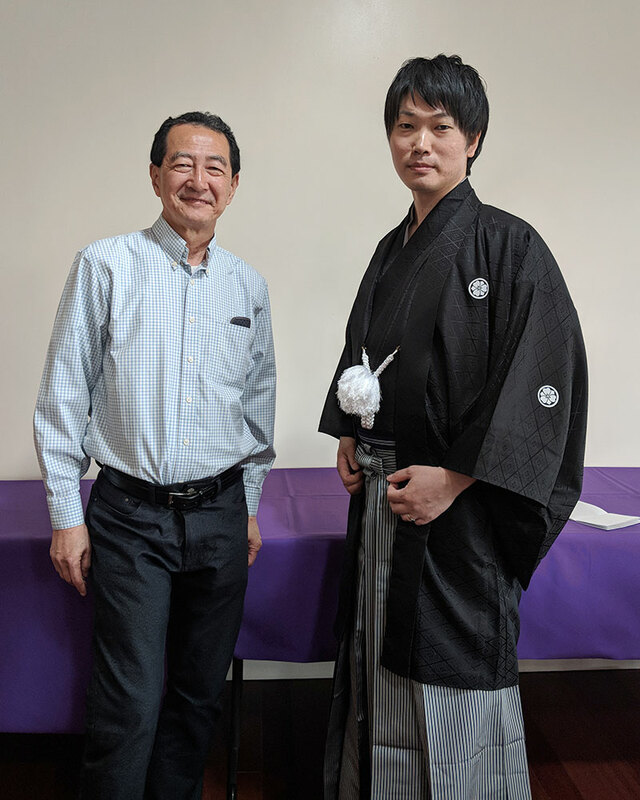 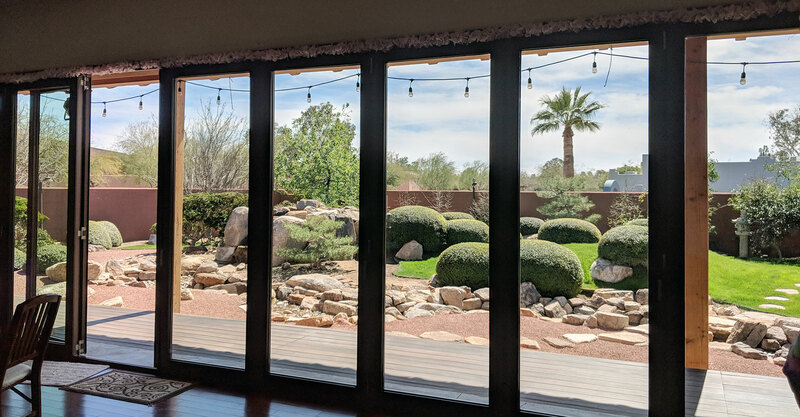 Visiting Professor Yusuke Takabayashi enjoyed a beautiful day and view of the Zerios’ Japanese garden at the always popular Ikenobo demonstration, co-hosted by Ikebana of Arizona and our local Ikenobo of Arizona chapter. 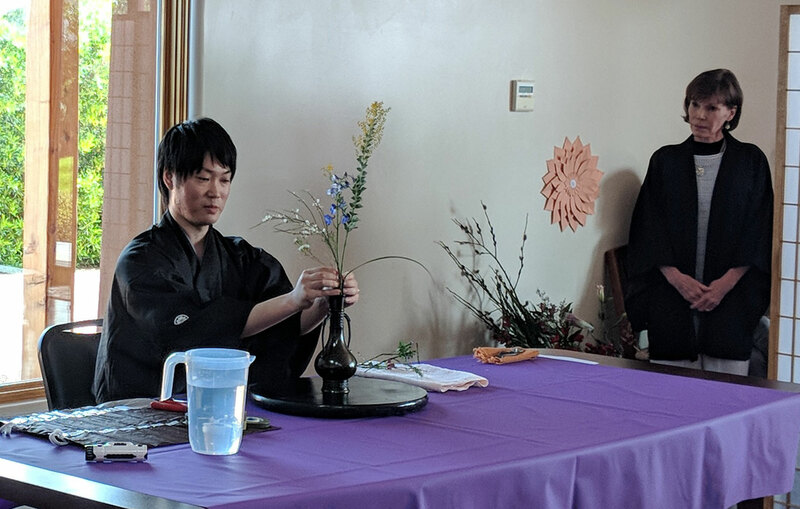 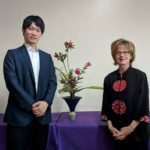 Ikebana of Arizona president, Susan Allen, welcomed guests and then Ikenobo of Arizona president Linnéa Storm, introduced the professor who wore a traditional kimono for the demonstration. 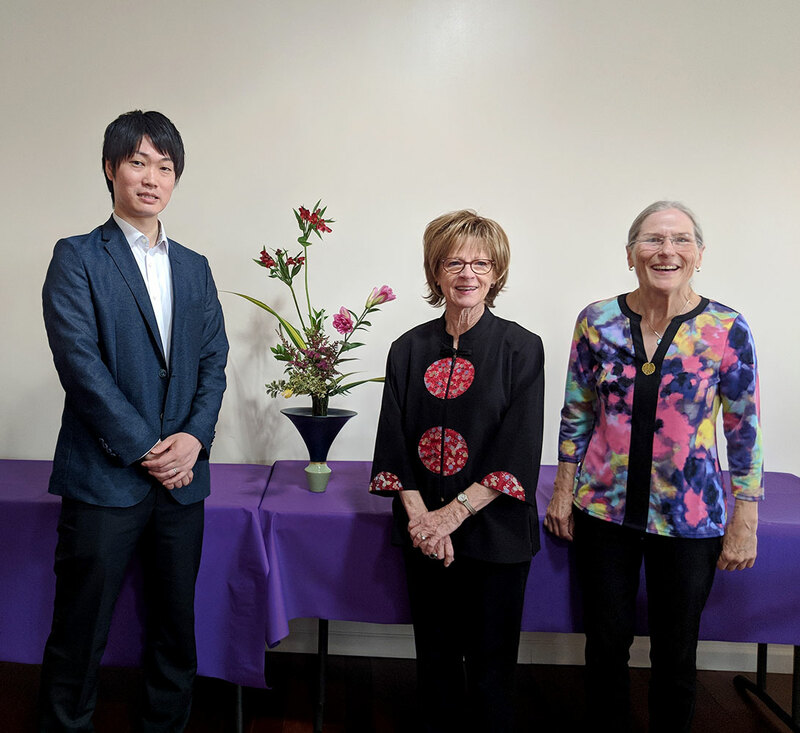 In order to facilitate the process of creating the 11 arrangements in such a short time, Linnéa handed the professor the appropriate flowers ably assisted in this process by our wonderful back room crew, Margaret Michel and Toby Schmich. 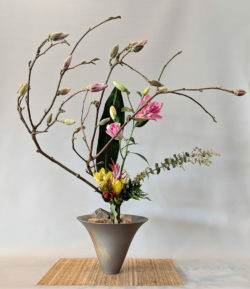 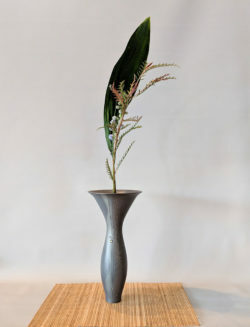 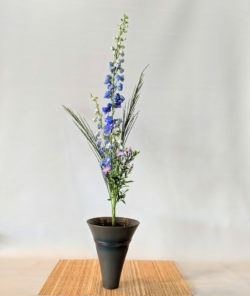 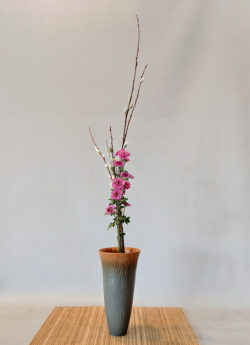 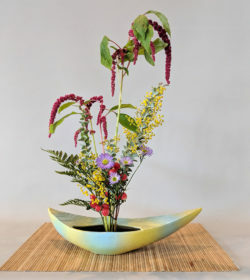 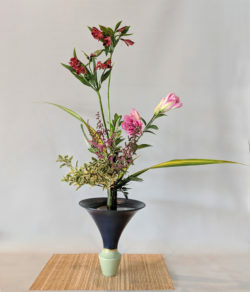 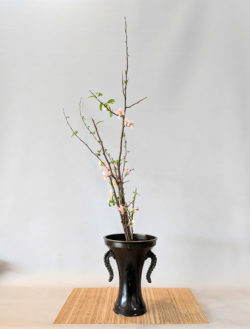 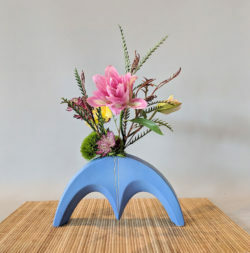 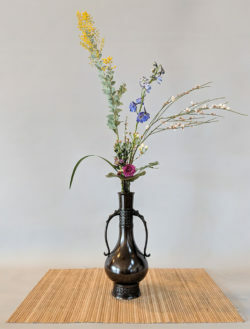 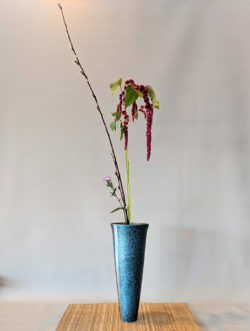 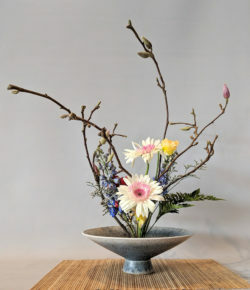 Among the arrangements created by the professor was one of the oldest forms, a tatehana arrangement, several different styles of shoka as well as the newest jiyuka or free style form. 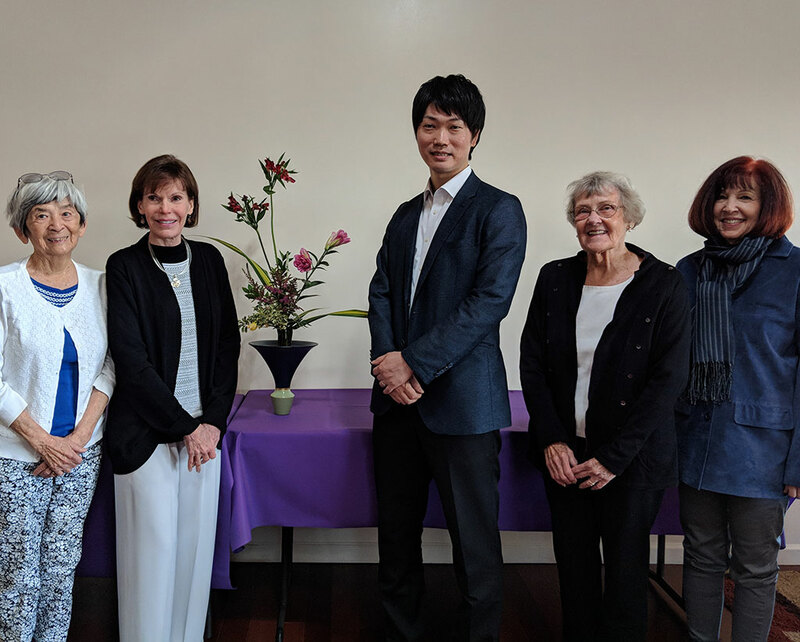 Many thanks to all those who made this event such a success, including our wonderful interpreters, George Nakamaura and May Uttal. 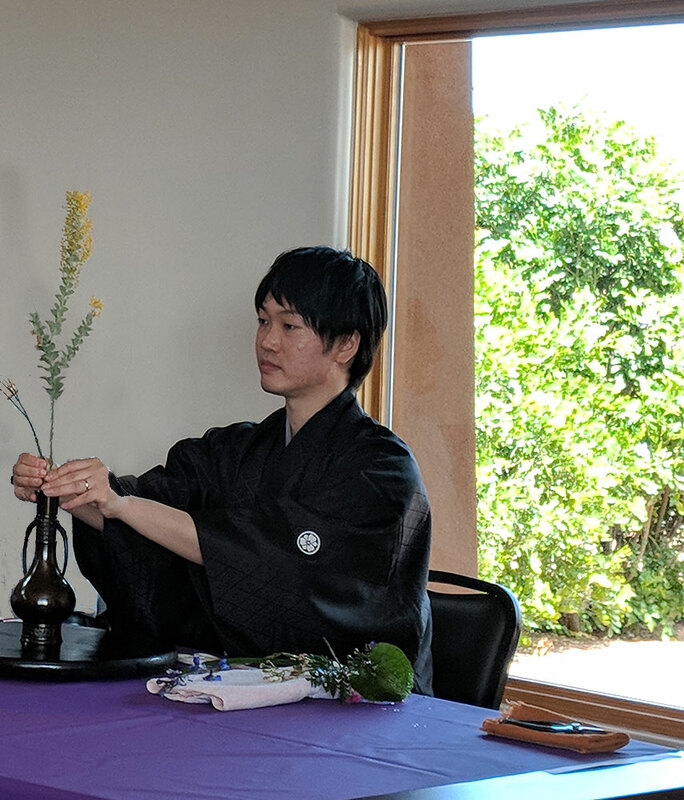 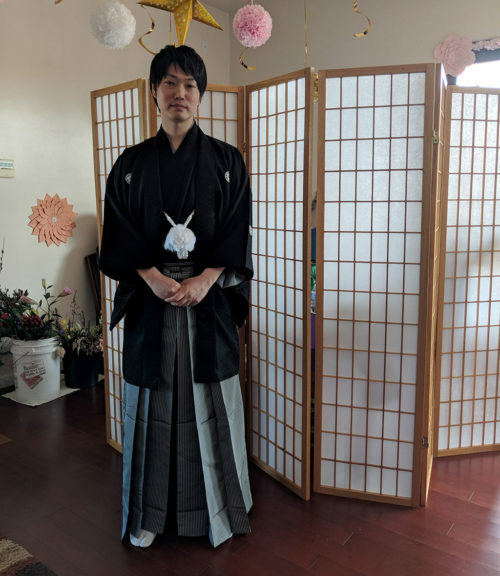 We hope you enjoy the photos of the arrangements as well as seeing the professor in his traditional kimono.